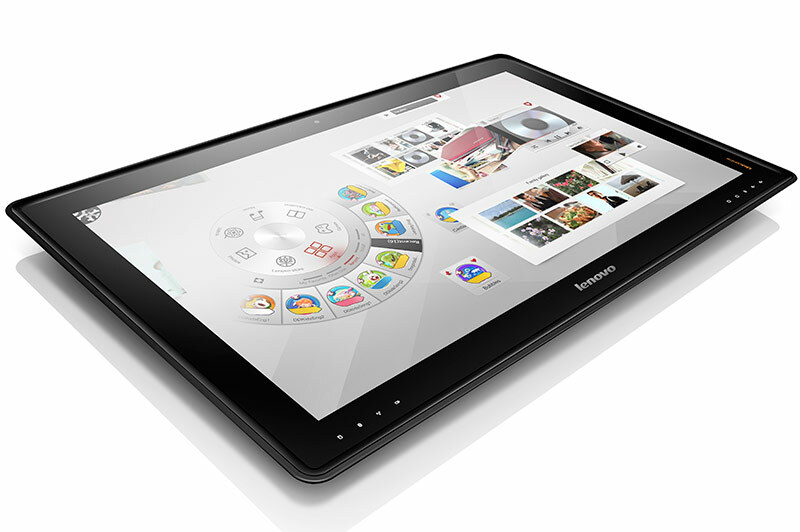 Not content with the slew of devices announced at the ongoing CES 2013 in Las Vegas, Lenovo has also announced another all-in-one: the IdeaCentre Horizon. Touted by the company as a “table PC”, the IdeaCentre Horizon is a 27-inch Full HD AIO with ten-point multitouch support. It can be configured to run on a variety of Intel Core processors, and up to 1TB of storage. There is also a dedicated NVIDIA GeForce GT620M GPU in there too. Up to this point, there really isn’t much that differentiates the IdeaCentre Horizon that other AIOs, including its new A730. What separates it is the reason why Lenovo is calling this a “table PC” and an “interpersonal PC”: the IdeaCentre Horizon is optimized for the family, with a focus on multi-user interaction on the device. For starters, like the IdeaCentre A730, the stand on the IdeaCentre Horizon can collapse to make it lie flat on any surface. Once the Horizon detects that the PC has been shifted to lie flat, it will activate the Aura UI, which contains large icons to games and other apps arranged in a half-moon design. 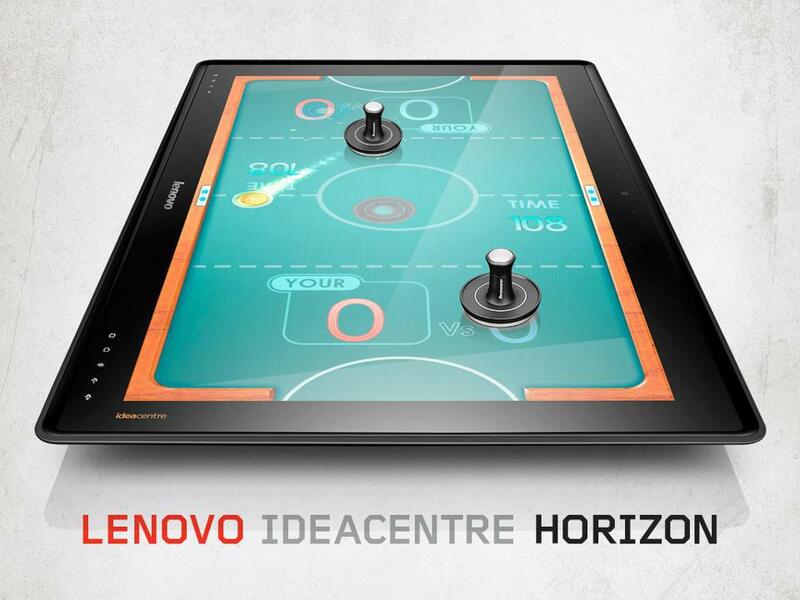 The Horizon also supports multi-user input – opening new ways to interact for multi-player games. As such, the Horizon comes with customized games from EA Games and Ubisoft such as Monopoly, in addition to the bundled physical joysticks and an e-dice. In addition, the 1.1-inch thick device also has an integrated battery, which means it can also be portable – though the 7.71kg frame might make that claim purely theoretical. The Lenovo IdeaCentre Horizon will be available sometime “in early summer” at an approximate price of $1699 (roughly RM5230).